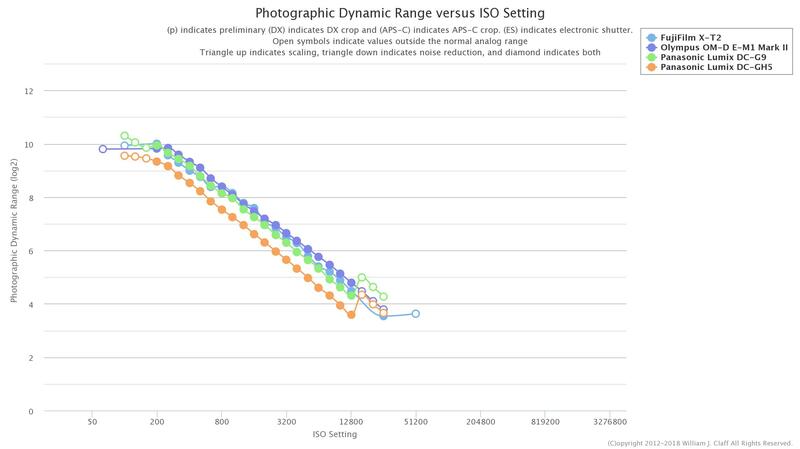 Photons to Photos testing shows that the Panasonic G9 has APS-C level performance. It easily surpasses the Panasonic GH5 beats the Olympus OMD-E1 MII at base ISO. It even almost matches the Fujifilm X-T2. Just one more reason to seriously consider the Panasonic G9 for keeping your kit compact and image quality high. You can manipulate the data here. Join our new Panasonic G9 Owners group on Facebook and follow 43addict on Facebook and Twitter. This entry was posted in Panasonic and tagged Fujifilm X-T2, Olympus OMD EM-1 Mark II, Panasonic G9, Panasonic GH5. Bookmark the permalink. Trackbacks are closed, but you can post a comment.